Our goals for the Middle School Department include helping our students prepare for life in the larger community. We expect our students to know more than right from wrong, we provide time for prayerful reflection to assist our students in making moral decisions. Our middle school has a 1 to 1 program utilizing Chromebooks for instruction as well as Ipad access. We find our 21st-century learners' refining skills in cooperation, communication, collaboration, creativity, and citizenship during the middle school years. Middle school students attend camps, retreats, and dances. These are not only learning experiences; they provide bonding experiences for the students that endure long after graduation. Our fifth graders take an overnight excursion to the Oregon Zoo in Portland after studying habitats and species. This unique opportunity allows students to go behind the scenes for a true understanding of zoology. The 6th graders head to the shore of Long Lake. Shaded by mature Sitka Spruce, Camp Kiwanilong is ideally situated for outdoor activity. It features several trails, including a two-mile path that winds through lush wetlands before arriving at the beaches of the Pacific Ocean. Your 6th Grader will enjoy this 3-day OMSI camp which explores coastal ecology. Seventh graders experience Camp Hancock near John Day. They will explore the rich ecosystem of the John Day Fossil Beds National Monument, learn about the fossils found in the sedimentary rock formations and the distant galaxies we see through our telescopes at night. Students will hike canyons in search of fossils or animal tracks, identify plants and animals, and learn valuable skills for survival in the wilderness. Eighth graders head to Ashland for a 3-day immersion at the Shakespeare Festival. The students stay in the dorms at Southern Oregon University, attend workshops and classes, enjoy a backstage tour and attend several plays during their stay. This is a memorable experience that students look forward all throughout middle school and remember well after they graduate. 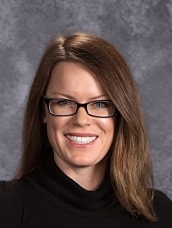 Mrs. Maile Ball holds a Master of Science Degree in Academic Advising and School Counseling, a Bachelor’s Degree in Liberal Studies, and a Teaching Credential for grades Pre- K through 12th grade. I have been a teacher for 15+ years, a decade of which was at the middle school level in Language Arts, Algebra/Pre-Algebra, and U.S. History. I simultaneously served as the Middle School Associated Student Body Director. In this position, I ran the entire middle school student body, every school program, all school events, fundraising, and middle school graduation. I also served as the District Testing Coordinator for all grade levels K through 8th grade and Reading and Algebra/Pre-Algebra Intervention Specialist for 5 years. In addition, I worked as the curriculum liaison for the District throughout my 15+ years. In this position, it was my job to teach the teachers how to utilize their language arts and math curriculum in their classes. I look forward to working with our middle school students here at St. Francis and best preparing them for academic success in their high school years to come. I believe it is imperative for middle schoolers to plan out their academic careers before they even enter high school. I am currently organizing a rigorous curriculum for the next school year that will ensure that our students are prepared for what is to be expected of them academically, socially, and emotionally in their respective high schools. I train my students to learn strong note-taking skills, test-taking strategies, and to mastering their writing format in all required writing standards (with appropriate accommodations and modifications when necessary). These skills will set a strong foundation for their academic journey. I have high expectations, with respect for the extracurricular commitments of our fine students and their families. I look forward to an amazing school year with the best middle school in Bend! 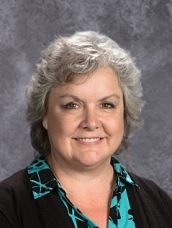 Dr. Cheryl Morgen believes students learn best by doing. they also remember a particular science property if they have spent time working with it rather than only reading about it. Her goal is to include as many hands on science activities as possible. Dr. Morgen recently attended a Next Generation Science Standards (NGSS) workshop. Oregon has adopted the NGSS. Its primary focus is on having students understand and learn science principles through exploring science phenomena. She feels this fits in very well with the activities our middle school students will complete in her science class. 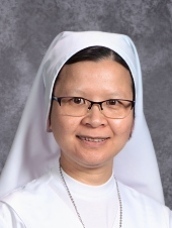 She also appreciates the ability to bring our Catholic teachings into the classroom. In earth science, while discussing the greenhouse effect she brought in paragraphs from Pope Francis' encyclical "On Care for Our Common Home." In physical science, while discussing an element in depth, Al, the class brainstormed ways to incorporate our "IMPACTS" theme for the year. The students discussed Al cans (stewardship of the Earth) by bringing them to church (stewardship of our church). 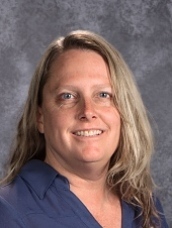 Mrs. Terri Logan is in her 6th year as the social studies teacher at St. Francis Middle School. I graduated from Oregon State University with a degree in Secondary Education and US History. I have taught both middle and high school in the public schools, but really enjoy the opportunities that our school provides. The main focus in social studies during middle school is critical thinking, which will serve them well throughout their educational career. I enjoy helping middle school students open up their world to the larger world that exists through the study of history. I have taken the 7/8th grade to Washington DC and Italy in order to expand their view of the world and look forward to doing so again. I am also the gardening teacher for the school and enjoy expanding their horizons there also. I have been in this Parish for 35 years and have two children who attended St. Francis School (as did my husband). They readily admit how much of an advantage the education that they received at St. Francis was and how much it helped them with their future studies. I look forward to a school year full of excitement and learning.